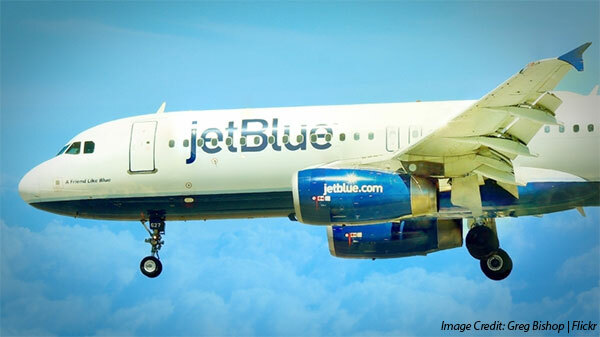 Here’s Why JetBlue Wanted New Yorkers to Steal Its Outdoor Posters – Infinity Marketing – The Small Business Marketing Specialists! Now here’s a unique way to market your business from, Geoff Weiss.Â What do you think? Â How would this work where you are? Â How much out of the box are you willing to go to market your business? Think about it and have fun with your marketing! In a unique twist on its latest outdoor-marketing campaign, JetBlue asked passersby in New Yorkâ€™s five boroughs to destroy 181 posters that the airline had affixed to bus shelters. With placards reading â€œTake this ad literally,â€ â€œTake it from us. No, really.â€ and â€œOnly a real New Yorker can pull this off,â€ JetBlue wanted to see whether pedestrians would be bold enough to do something that seemed borderline illegal — for whichÂ they would be handsomely rewarded. Hidden beneath the posters were uber-cool prizes, including admission to the One World Observatory, Nets and Jets tickets and even free flights. Hashtagged #NYCTAKEOFF to promote itself as New Yorkâ€™s self-described â€œhometown airline,â€ JetBlue held the contest earlier this month and captured it all on film (see below.) Now, given the success of the marketing stunt, it is repeating the experiment through October 5. Geoff Weiss is a staff writer at Entrepreneur.com who frequently covers digital media.